ChemStream bvba and Ghent University involved in Horizon 2020-project for developing long lasting reinforced concrete for energy infrastructures. Durable materials are paramount for safety and functionality of structures. Existing and emerging energy technologies require materials that perform in more and more extreme operating conditions as they are installed in sub-arctic/arctic areas (low temperatures, ice-abrasion), desert areas (high temperatures), along coast lines (high chloride contents), deep-sea or underground (large temperature gradients and high pressure). In LORCENIS, 17 organisations from 9 countries team up to develop a long lasting reinforced concrete for energy infrastructures with a lifetime extended up to a 100% under extreme operating conditions. Two are based in Flanders: ChemStream bvba and the University of Ghent. ChemStream is an innovative chemical R&D company, specialized in translating material problems in sustainable formulations with focus on nano-dispersions, functional coatings and inkjet inks. Within LORCENIS they will develop super absorbing polymers (SAPs) to be mixed within the concrete matrices for improving the active internal curing, self-healing and self-sealing properties of the concrete.Up till now most applications of SAPs in concrete are based on commercial SAP powders that have a given composition and particle size. ChemStream wants to base itself on other types of polyelectrolyte chemistry (based on EP2835385A1 by Geert Deroover & Els Mannekens) and in varying the particle sizes by grinding the synthesized SAP materials. Also the Polymer Chemistry & Biomaterials Group at Ghent University will be involved in the development and characterization of new SAPs. 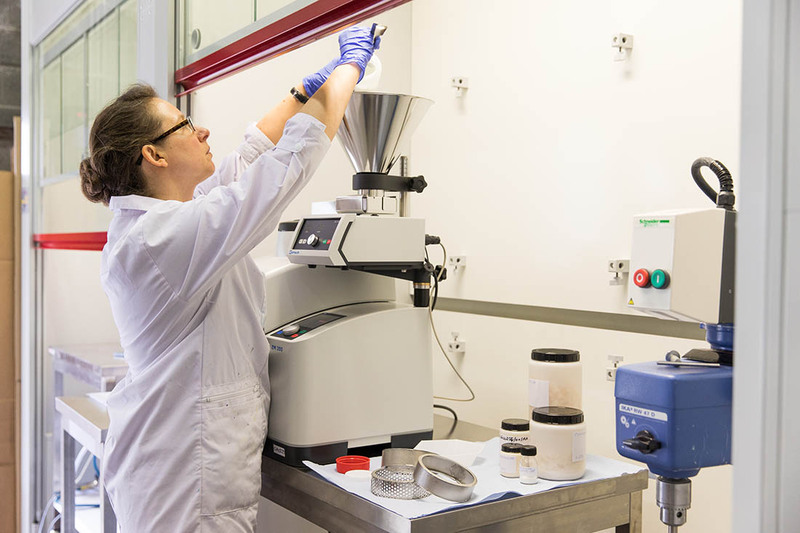 The Magnel Laboratory at Ghent University will test the different SAPs in standard concrete mixtures at lab level. From these tests the preferred compositions, particle sizes and concentrations will be deduced. The best SAPs will be further incorporated at a larger scale in specific reinforced-concrete mix designs for extreme operating conditions by other partners in the project. ChemStream will equally upscale the synthesis protocols in order to foresee these partners with batches up to 2 to 3 kg in scale.